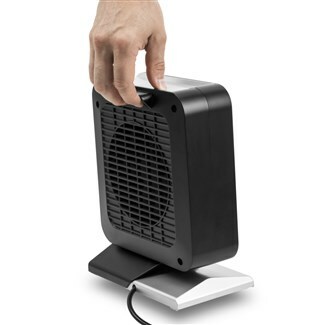 The TFC 13 E is a fan heater in cool black/silver ceramic optics, which can be used wherever quickly heat is required. 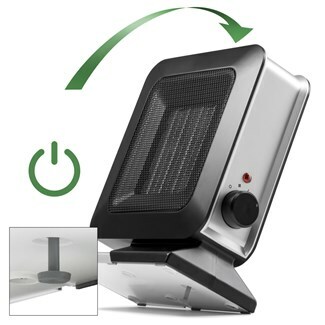 The low weight and the practical design of the device make it possible to change the location quickly and easily. 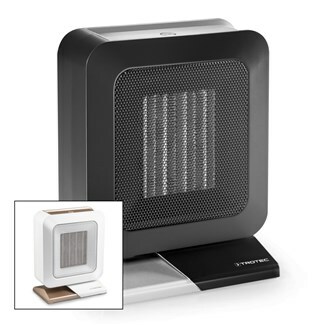 The ceramic fan heater has a switch with two heating levels (700 W/1,400 W) and one cold stage (fan operation). 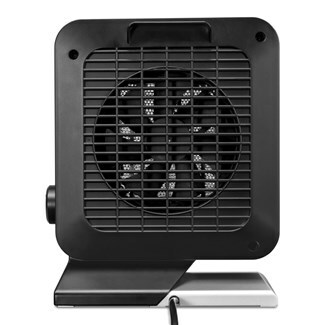 On warmer days, the TFC 13 E can be used as a compact table fan with its cold stage. The device remains extremely economical, since no electricity is needed to generate heat in the cold stage. 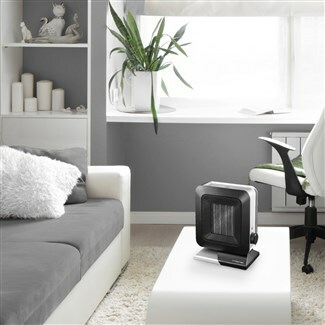 While the ceramic fan heater provides cooling air during fan operation, the PTC ceramic heating Element enables environmentally conscious and energy-efficient heating in rooms up to 20 m² / 50 m³. 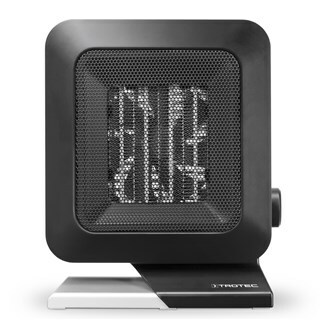 To ensure the safety of the user and his environment, the TFC 13 E fan heater not only has an overheating protection but also a tipping-off switch integrated in the bottom of the device, which immediately switches off the device when the heater falls over. 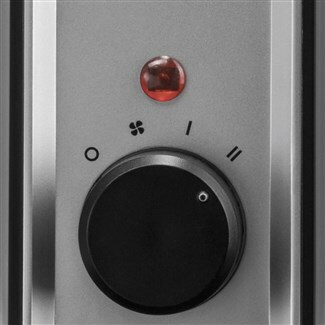 The indicator light between the two rotary switches indicates at first glance whether the device is connected to the mains. 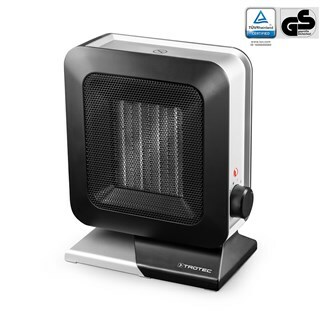 This device carries the GS seal for tested safety!